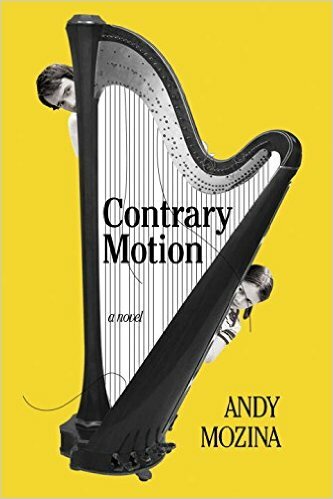 (Kalamazoo, MI) — In an act of self-promotion that has raised eye-brows even among fellow writers and drawn concern from the counseling community, Andy Mozina declared his debut novel Contrary Motion a “Must Read” for Father’s Day. The novel is about a divorced harpist in Chicago preparing for a symphony audition. A main plot line is the harpist’s relationship with his troubled six-year-old daughter. Mozina made the dubious self-recommendation during a recent interview while sitting on his front porch dressed in a cardigan, dress pants, and wing tips. Other writers questioned Mozina’s attempt to exploit the holiday. Stephanie Regal, a family therapist in Kalamazoo, recommended that readers think twice before drawing parenting insights from the novel. For his part, Mozina welcomed the skepticism, saying “it comes with the territory” of writing–and of fatherhood.